Utah's first season in the Pac 12 was a rollercoaster ride. A weak start still stained a strong end to the season. 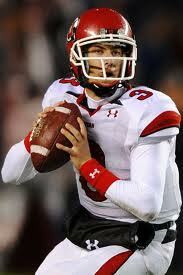 Now, with 16 starters back the Utes have a legitimate shot at challenging USC in the South division. The quarterback is unsettled as Kyle Whittingham has two experienced and talented players at that slot in Jordan Wynn and Jon Hays. Wynn started off 2011 as the starter before missing the final nine games due to a shoulder injury. Hays replaced him and did play pretty good but it looks like Wynn still has the edge in the job. These Utes will run constantly as they have maybe the best back in the Pac 12 with senior John White. White has some speed and is elusive but when needed can put his head down and run people over. Expect another back, sophomore Harvey Langi, to also get carries in the red zone. These receivers are talented with the returns of senior DeVonte Cristopher and senior Reggie Dunn. Another senior in tight end Kendrick Moeai is a pretty good receiver and can block. The offensive line is solid with the returns of a bunch of seniors including Miles Mason and Sam Brenner. Freshman Jeremiah Poutasi could break out in his first season with the Utes. 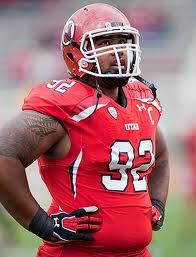 On defense Utah has one of the nation's elite defenders in defensive tackle Star Lolutelei. Lolutelei is a pretty good pass rusher and excels at stuffing up players in the backfield. Also back on the line is Joe Kruger and Dave Kruger who are athletic beasts. The losses of Chaz Walker and Matt Martinez leaves a big gap in the middle. Junior Trevor Reilly is a playmaker but his supporting cast probably won't be able to replace Martinez nor Walker. In the secondary Whittingham has some talent headlined by Ryan Lacy and Eric Rowe.